Mirrors are endless in design and size. At F&C Glass + Aluminium, we can do almost anything with a mirror. We will produce a mirror to match your specifications - size, colour, edges. The choices are endless. 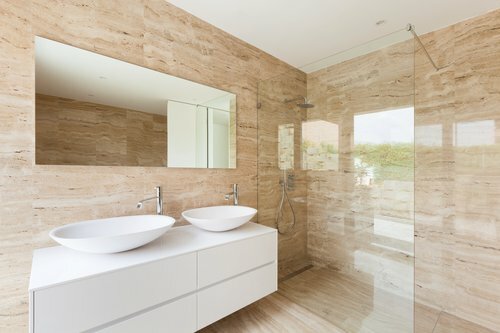 We are experts in the supply and installation of mirrors to all types of clients - domestic and commercial as well as a large range of projects - bathrooms, gyms, feature walls, foyers. An amazingly simple solution to freshen up a tired space and complement any interior renovation. Mirrors increase the illusion of space and brighten an area that may otherwise appear dull or small. Their instant and cost effective nature makes them a clever choice for anyone. Phone or email us today to discuss your rquirements with one of our experienced and helpful staff. We can provide you with a FREE quote for your mirror.